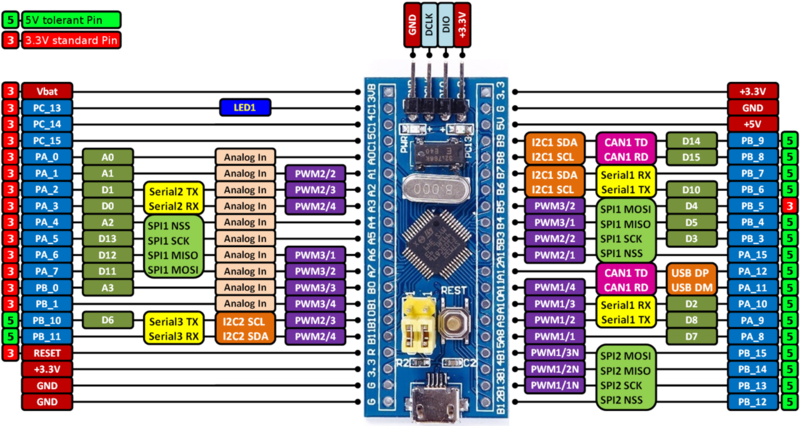 In this part I am going to explain how to built RF remote to control robot (or anything) using STM32F103C8T6 (aka blue pill), NRF24L01+, 2-axis analog joystick and few buttons (optional). After Adding NUCLEO-F103RB platform to Mbed online compiler. You can simply copy paste the code given below and add the STM32F103C8T6, NRF24L01+ and USB serial libraries from the important links. //  only handles 4 byte transfers in the ATMega code.